Or as low as $110.83 per month over 12 months. Apply Now. 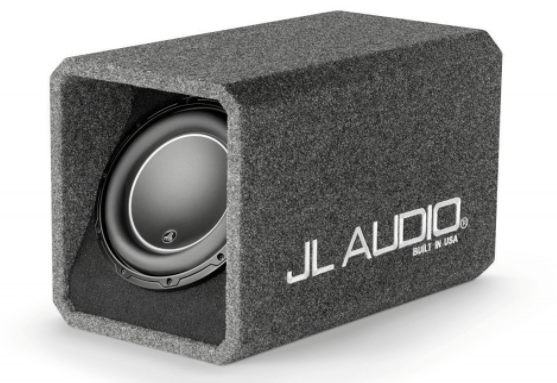 The JL Audio HO112-W6v3 enclosure is designed around JL Audio’s 12W6v3 subwoofer, using V-groove MDF construction with internal bracing to ensure structural integrity. 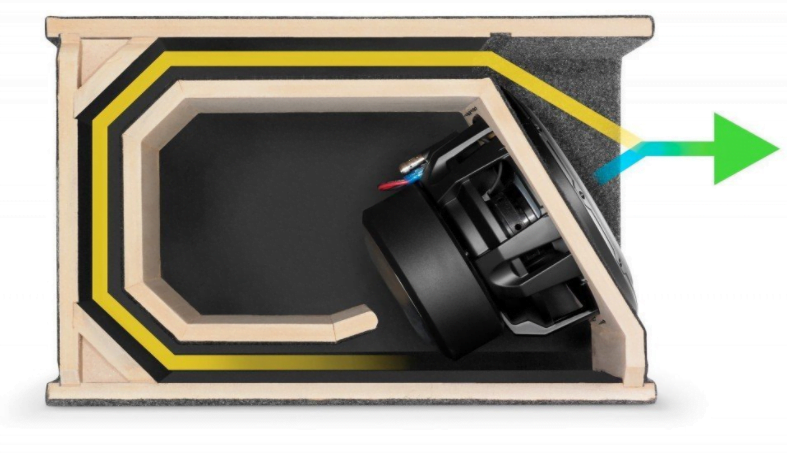 The patented, chamber-coupled port design wraps around the inner enclosure boundary and terminates just above the woofer, coupling the port output to the woofer’s direct output. This also provides the necessary surface area and port length to maximize the performance of the driver. The woofer’s dual 4Ω voice coils are internally wired in parallel to present a 2Ω load. The enclosure features a pair of 5-way binding posts; they will accept pin connectors, spade connectors, single banana plugs, dual banana plugs (standard 3/4″ width), and bare wire up to 10 gauge. 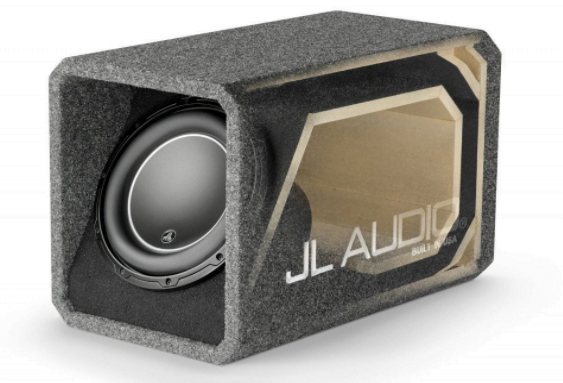 JL Audio’s patented High Output Enclosures are designed to deliver the ultimate high-performance bass experience with a rare combination of superb sound quality and awesome output. 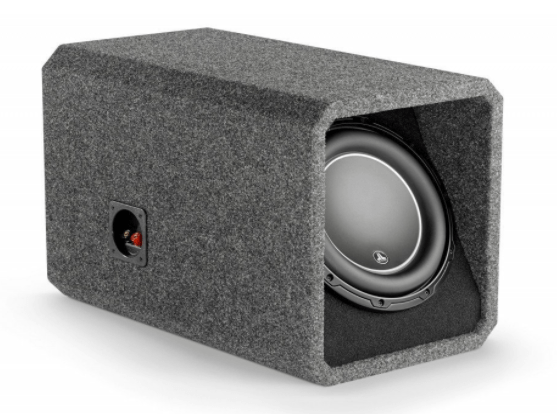 In the HO112-W6v3, the high power handling of the 12W6v3 subwoofer driver, combined with its small enclosure requirements, results in a very compact subwoofer system that is capable of impressive output with moderate amplification. JL Audio’s patented, chamber-coupled port design (U.S. patent #6,625,292) wraps around the inner enclosure boundary and terminates just above the woofer, coupling the port output to the woofer’s direct output. This also provides the necessary surface area and port length to maximize the performance of the W6v3 driver. 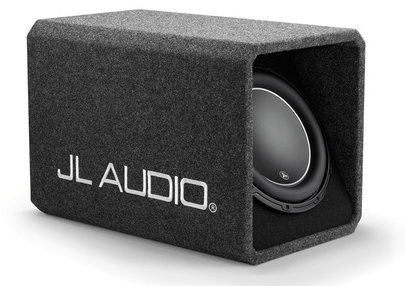 This enclosure design has been carefully engineered to the optimum ported alignment for the 12W6v3, and has been fine-tuned through extensive real-world listening. This subwoofer system is shipped wired, loaded and ready to connect via a five-way binding post terminal. While no grille is provided, the recessed mounting baffle provides some protection for the woofer. A steel mesh woofer grille insert can be purchased separately (Model: SGR-12W6v2/v3), if additional woofer protection is desired. Finish: Dark gray, high-grade automotive carpet, with black carpet on woofer baffle. 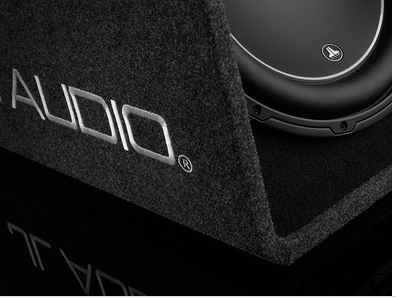 “JL AUDIO” is embroidered in silver on the side surface of the enclosure.